This is a collection of black and white, double exposure, and transposed photos. Rainier, Rainier,... if you wait long enough a bottle will run past! 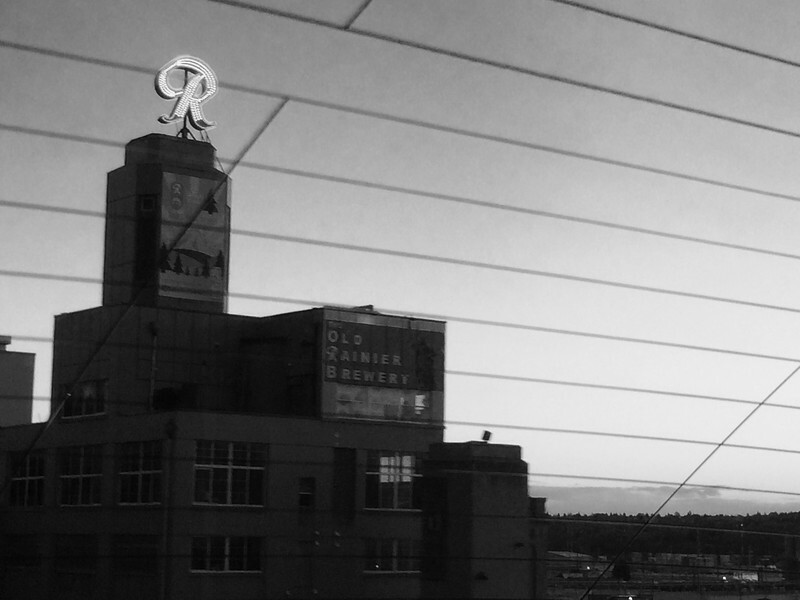 Remember the Rainier Beer Commercials? Well this is the building the brew was made!